US: Men Should Serve on House Women’s Policy Committee. GOP, Dem lawmakers unite for women’s history museum. 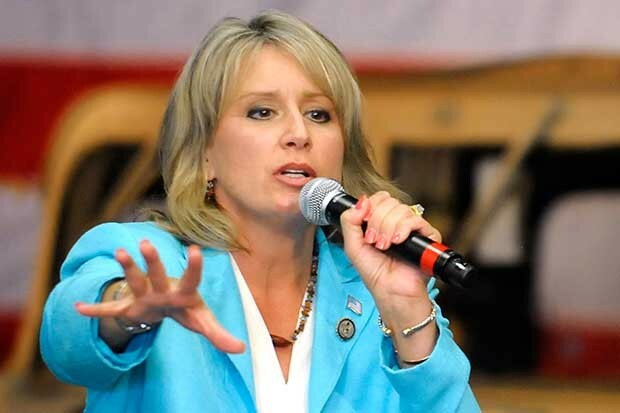 Republican Rep. Renee Ellmers chairs the Republican Women’s Policy Committee. Men Should Serve on the House Women’s Policy Committee U.S. News & World Report (blog) The Republican Party is clearly having trouble winning the votes of women, and party elders, to their credit, recognize that. And as part of the effort to pay attention to so-called “women’s issues,” the Republican Women’s Policy Committee in the House is prepared to allow men to join as associate members, Roll Callreports. The idea was immediately derided by the Democratic Congressional Campaign Committee, which wondered (rightly) whether the panel would need to let in men if they were actually able to elect more GOP women to the House. That’s a fair question, but it doesn’t mean it’s a bad idea to have men sit on the committee. In fact, it may be just what Congress needs. There’s a certain bond-building advantage to having women (or racial or ethnic minorities) have their own caucuses and policy meetings. Congress is still overwhelmingly male and overwhelmingly white, and it’s a good idea for such minority groups (minority, of course, in terms of their numbers in Congress) to get together and talk about the best way to advance their agendas. And having a female-only group avoids the problem of the men – who are historically accustomed to being in charge – trying to take over the group or dominate the conversation. GOP, Dem lawmakers unite in call for women’s history museum Washington Times A pair of federal lawmakers said Wednesday the time has come to established a national museum dedicated to women’s history. With a record number of female lawmakers in Congress, there is bipartisan momentum to recognize the accomplishments of women without spending any taxpayer funds, they said. “This would be a privately funded museum,” Rep. Marsha Blackburn, Tennessee Republican, told MSNBC. She and Rep. Carolyn Maloney, New York Democrat, said there is a nonprofit organization set up to drive the effort, although it is unclear where the museum would be located. “We need a site to put all this together,” Mrs. Maloney said. Latino Post …But a new study published by the New Organizing Institute (NOI) suggests that this dedication to diversity is lacking in staffing choices for federal level political campaigns, and that the discrepancy exists (for different reasons) on both sides of the aisle. …For example, the study determined that Republican campaign staffs are 60.2 percent male, while Democratic campaign staffs are 53.6 percent male. Republican staffs are 90 percent white and Democratic staffs are 60.5 percent white. While some may point to these numbers and say that the Democrats have achieved diversity, it might be worth looking into the payscales. Both parties pay the highest wages to white males. Both parties pay fairly close to similar wages to women (Republicans pay women 95.7 percent of what they pay men and Democrats come in at 94.3 percent). More on those happy conservatives Washington Post (blog) …That’s all good. Looking at all the data, though–in particular, that that big fat red bar at the far right of the second graph above (the “not too happy” extremely Republican women), it’s hard for me to buy the summary statement that conservative women are “particularly blissful.” Particularly likely to say they are either “very happy” or “not too happy”–particularly extreme in their happiness statements!–but that’s a bit different.The real message, though, is that survey responses can show a lot of different things. I think this discussion provides a strong argument for presenting a graph rather than trying to pull out patterns using sentences and paragraphs. A graph shows the big patterns, it also shows the complexity of the situation, in particular, a group such as conservative women who are more likely to say they are “very happy” and more likely to say they are “not too happy.” Instead of arguing over whether it’s appropriate to describe such a group as “particularly blissful,” we can just show people the data. I appreciate Quinn’s openness in sharing his analysis, and I hope that, in the future, media outlets such as the Times will make it easier for essayists and reporters to include graphs where appropriate. We’re used to thinking of graphs as a big production, but a well-designed graph can be formatted to take up not much more space than a paragraph of text. Previous postUK: Scottish independence poll: female vote favours No. Lib Dems should elect a female deputy leader. Next postYoung rapper puts gender politics under spotlight in Egypt. London Guardian Defines Feminism as Islamaphobia.